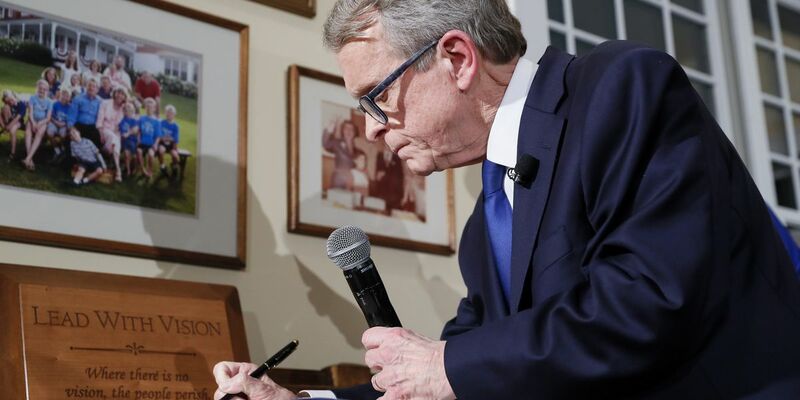 CLEVELAND, OH (WOIO) - Ohio Governor Mike DeWine is spending his first few days as governor in Detroit. Governor DeWine is meeting with General Motors CEO Mary Barra Thursday morning in an effort to save the Lordstown plant. The governor will make another pitch that the Lordstown plant should not close down after Chevrolet Cruze production ends in March. The meeting follows another that took place on Wednesday with union leaders and workers who drove to Detroit to meet with the Governor, as well as several other car manufacturers. If the plant closes, more than 1,400 people could lose their jobs. If GM isn’t going to create more jobs in Ohio, DeWine said he wants to find an automaker who will. However, the governor said GM is his first choice to keep jobs in Lordstown. He will also be speaking at an event in Akron Thursday at noon.